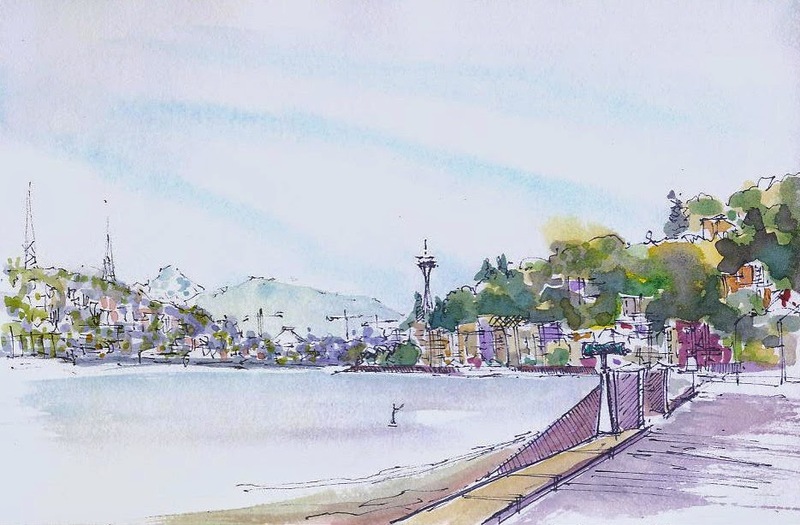 The June sketcher's gathering took place on or around Alki Beach at West Seattle. Beautiful weather, too nice maybe, by the time I did my urban hike back to the truck I was quite burnt - the forgotten sunscreen still sitting on the bathroom counter. Pen and ink with watercolor in a Stillman & Birn watercolor sketchbook. Love the way Lady Liberty stands out against the landscape. I caught her from the other side and she's a bit lost in the commercial real estate. 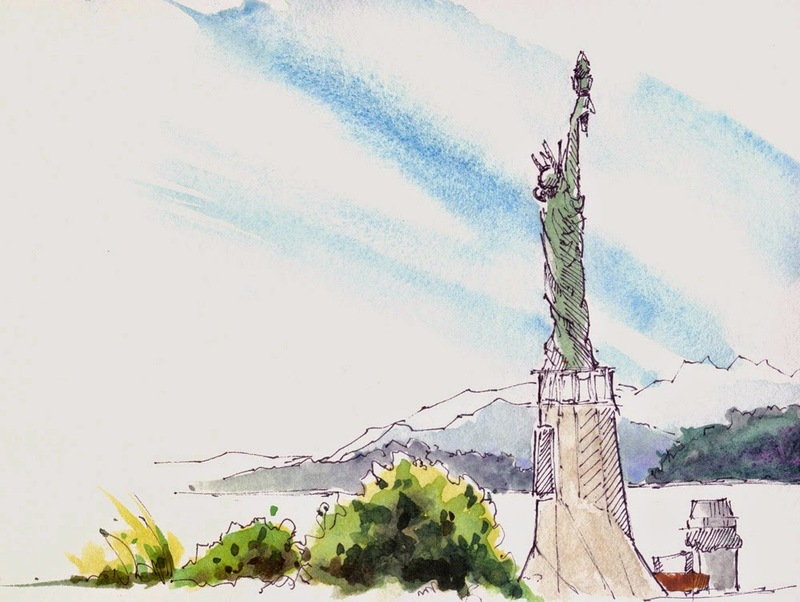 The skyline view sketch is breathtaking -- so elegant and clean. Both of these are wonderful. Very fine artistry. Thank you for sharing your craft work.